What happened to the €8 billion Europe took from Greece? In 2012 with Greece on the verge of bankruptcy, fellow Eurozone states rallied round to rescue one of their own. Part of the bailout package they agreed was to use almost 27 billion euros to buy up Greek debt to prevent a vicious circle that would see the country facing more and more expensive borrowing costs. At the time, the countries agreed that they should not profit from this action and that the interest paid to them by Athens linked to the bonds they had bought should be returned. To this day, that interest amounts to almost €8 billion (More precisely €7,838,000,000, according to an email sent by EU finance commissioner Pierre Muscovici to MEPs). Some of this money has been sent back to Greece but much of it remains in the hands of other European countries. And they seem determined not to reveal how much. “For legal reasons, it’s not possible for member states to declare the amounts paid by their central banks to Greece,” said a source at the European Commission, citing the principle that central banks should not disclose details about their investments to avoid unduly influencing the behaviour of markets. For once, it seems, that Europe is united on the issue – Ireland, Italy, Spain and even Greece all refused to disclose how much had been returned and how much they were still holding. 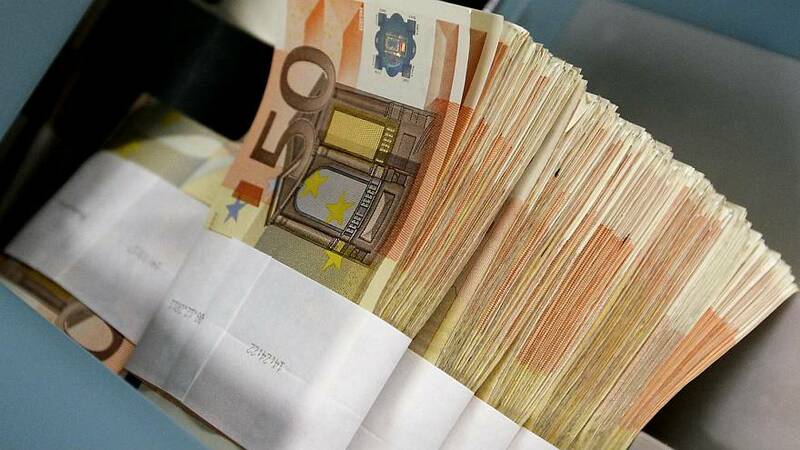 In Luxembourg, the press revealed that the government had handed back to Greece €28.3 million and was committed to returning the entire €40.2 million of interest it had accrued. According to Euronews’ calculations, the Bundesbank, due to its position as the largest of Europe’s central banks earned €2 billion of interest since 2012 on the debt they purchased from Greece. France took €1.58 billion and Italy €1.37 billion. Documents obtained by Euronews confirm the figure for France, officials from other countries would not confirm or deny the amounts by the time this story was published. Under the Securities Market Programme, Eurozone central banks bought up Greek government bonds, pushing up the prices for that debt and thereby lowering the interest rates Athens needed to pay to borrow. This offset to a degree the impact of market fears about the country’s economy which had obliged the government to pay significantly higher rates to secure the money it needed to keep operating. As a result of this programme, the countries participating received interest from Greece on the bonds they had purchased. It was this money that they agreed to return under the 2012 bailout deal. When Alexis Tsipras swept to power in 2015 and rejected a proposed deal to extend the bailout, Eurozone finance ministers agreed to freeze these payments, having returned €4.3 billion relating to the debt buyup and a separate programme known as ANFA. Finance ministries contacted by Euronews, including those in France and Germany, refused to comment on what interest has been returned, although German media claimed that none of the interest has been paid back to Athens since 2015 . The withholding of this money, according to Christopher Dembik, an economist at Saxo Bank, serves as a “kind of punishment” combined with a “means to pressure” Greece to fulfill its bailout obligations. If Greece could get hold of the money, it would probably use it to pay back other debt, he added. The question of whether the money ever makes it back to Athens could be decided in the second half of 2018 when the third part of the Greek bailout comes to an end.